Criminal Defense – Skinner Law Firm, P.C. Steven E. Skinner has 17 years of criminal courtroom experience in the Bridgeview Courthouse, and Cook County at-large. Don’t risk your freedom or the freedom of someone dear to you. Move past your fear and take immediate steps to start the process of building your defense. The United States Constitution guarantees certain rights but neither the state nor the federal government are going to wait for you to assert them. You need an experienced criminal defense attorney to guide you through this process. Steven E. Skinner has the work ethic, focus and passion to protect you. Sentencing and punishment for crimes are often harsh and can be brought against adults as well as juveniles. The criminal process is quite detailed, rigorous, and time-consuming. It is often stressful on both the individual suspected of the crime, and that individual’s family and friends. Hiring the right criminal defense attorney can often make a substantial difference in your case. The sooner Skinner Law Firm, P.C., is brought into a criminal case or investigation, the better potential results for you. Do not take a wait-and-see approach to a criminal situation. Do not seek answers to questions about your rights and legal status from police officers and prosecutors who do not have a legal duty to act in a your best interest. A serious criminal charge can have you fighting for your fundamental freedom. Do not gamble while your freedom is at stake! Click here to contact Skinner Law Firm, P.C., we will stand up for your legal rights and fight for your exoneration. 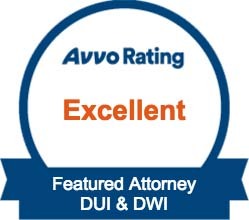 We represent clients throughout Cook, Dupage, Kankakee and Will Counties in Illinois in all areas of criminal law, including Aggravated Assault, Retail Theft, Possession of a Controlled Substance, Domestic Battery, and Unlawful Use of a Weapon . We also handle other procedural matters, including criminal record expungement, setting aside active warrants, sentencing matters, bond appearances and preliminary hearings. Let Skinner Law Firm, P.C. achieve the best possible outcome for you and guide you through the process of a criminal prosecution with dignity and integrity.